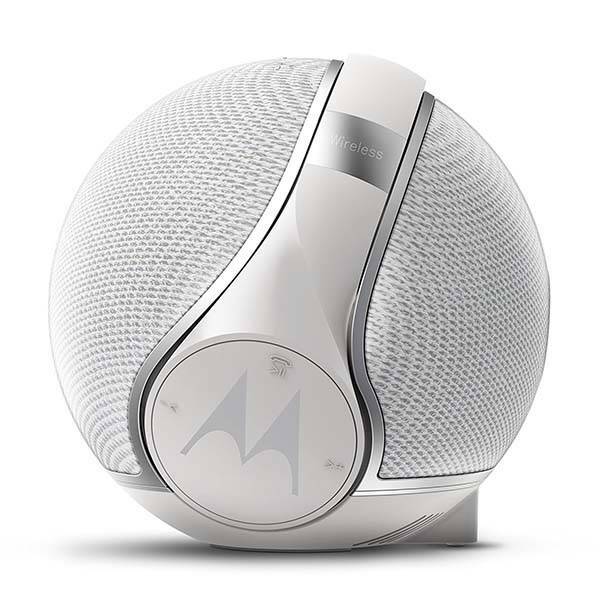 With a unique design Motorola Sphere+ 2-in-1 Bluetooth speaker not only delivers your favorite music, but also offers a pair of wireless headphones for an on-the-go audio experience. The Sphere Plus is an innovative Bluetooth speaker that measures 9.76 x 9.61 x 9.61 inches and weighs 5.5 lbs. As we can see from the images, the speaker shows off an elegant spherical form factor along with two classic color options: black and white, and the compact design allows you to easily place anywhere in your house. 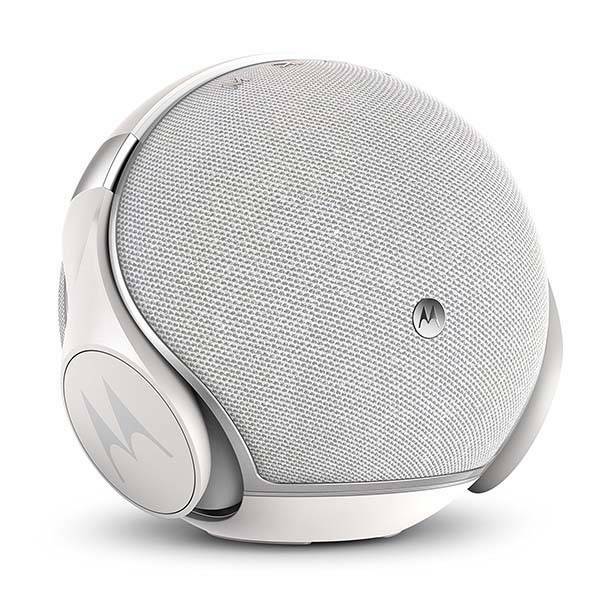 The Sphere+ uses Bluetooth 4.1 technology to wirelessly connect with your smartphone or tablet, and it comes equipped with two 8W speaker drivers and a bass porting in order to produce high-quality wireless audio. An extra 3.5mm audio input allows it to work with any music player. 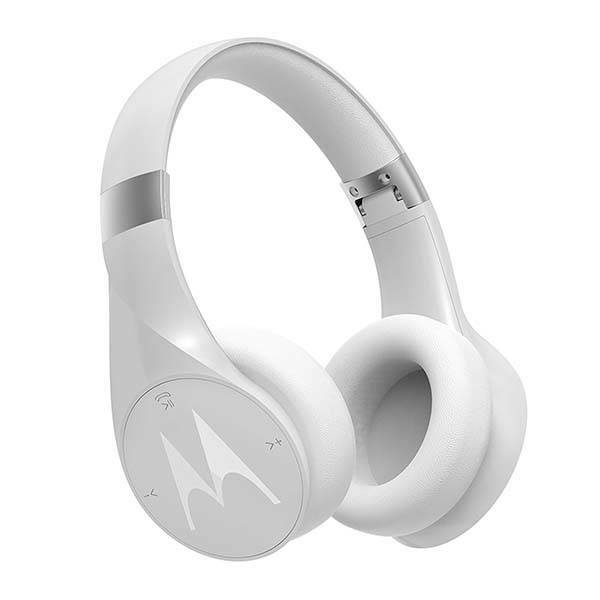 More importantly, the 2-in-1 speaker features a pair of custom Bluetooth on-ear headphones that comes with two 40mm drivers, so you can grab the headphones and enjoy bass-driven stereo audio with noise isolation. Meanwhile, built-in rechargeable battery offers up to 20 hours of on-the-go playtime, and the headphones are water and dust resistant. Built-in microphone allows for answering handsfree calls. In addition, the foldable design lets you easily store the Bluetooth headphones in your bag for a trip. The Sphere+ Bluetooth speaker with on-ear headphones is priced at $131.28 USD. If you’re interested, jump to Amazon for its more details.